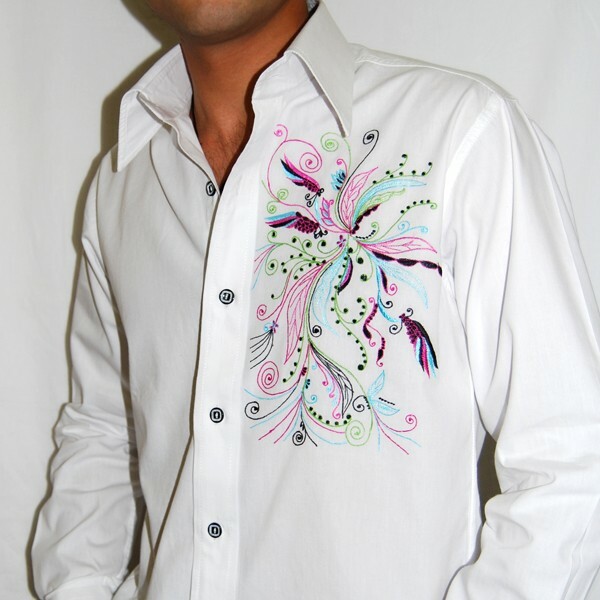 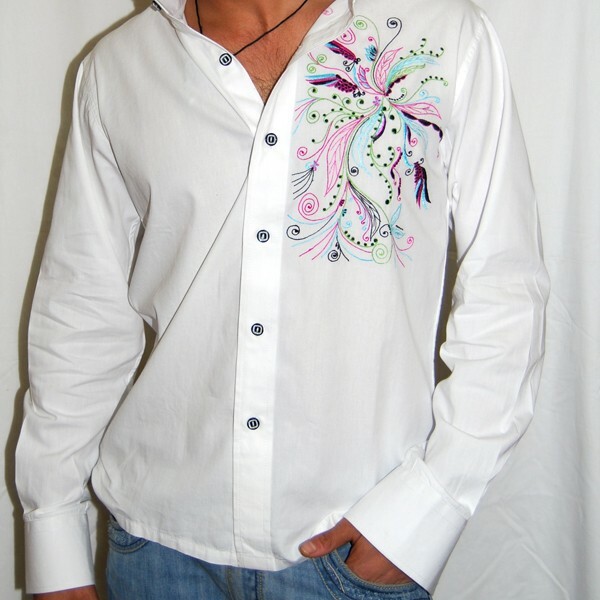 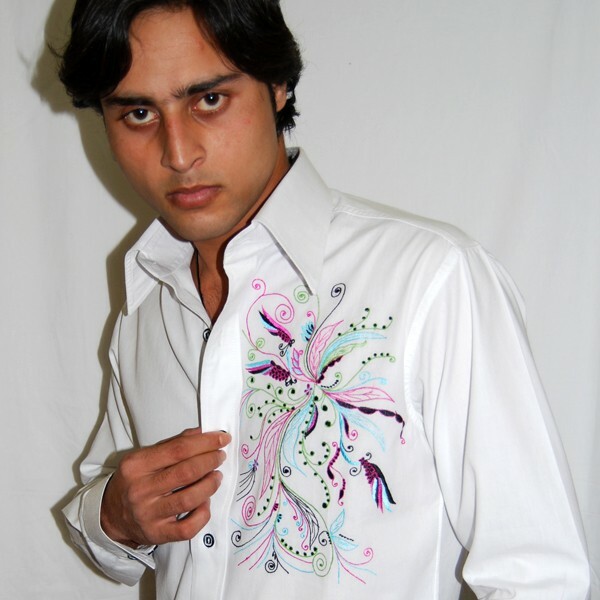 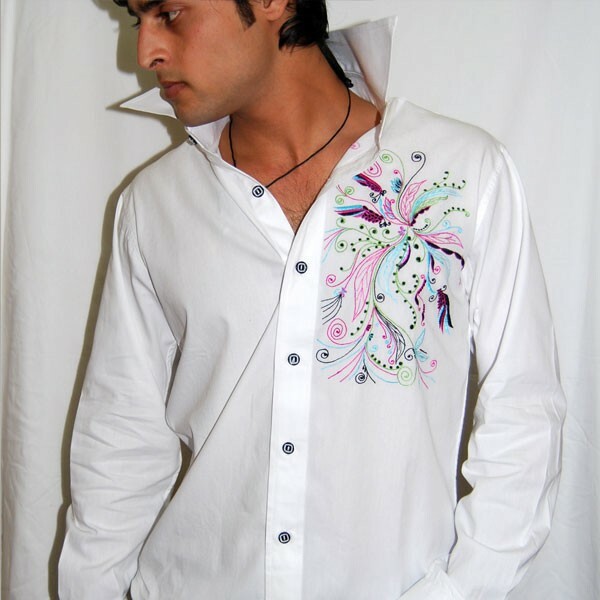 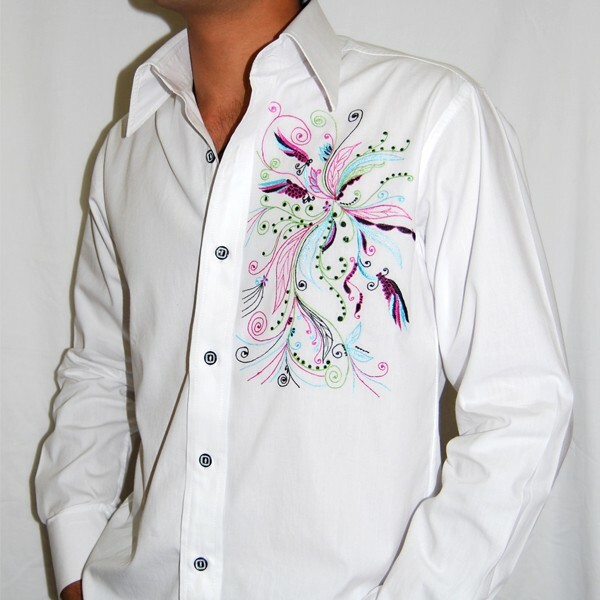 The pure and crisp white shirt has firweorks embroidery on the left front panel. 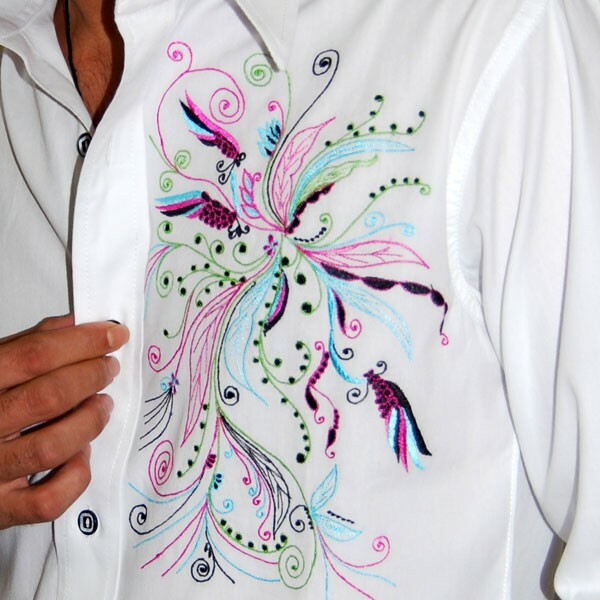 With prominent shades of green and purple, a perfect blend of flourescent blue pink and olive green are arched and embroidered to make firweorks of happiness. 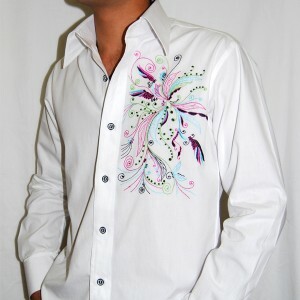 The back is plain.